What do virtual pies smell like you ask? They can smell like community service, education, books or school supplies! Thanksgiving was meant to be a time for the sharing of cultures and the connecting of peers. Here’s your chance to bring some ‘real’ traditional Thanksgiving spirit. 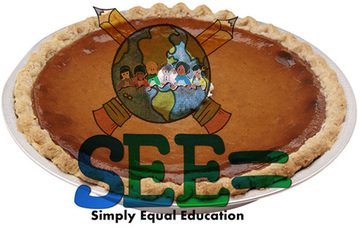 Instead of bringing a pie to your Thanksgiving or holiday meal, tell all of your friends and family that you donated to Simply Equal Education instead (not the actual pie, but the cost of the pie silly). They’ll be amazed at your generosity and they’ll thank you for contributing to their diets. 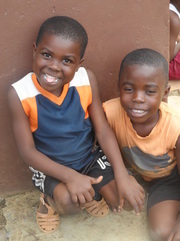 Your $10 - or more, if you're financially able to help - will last longer than any delicious pie in helping increase access to education in our new partner schools in Equatorial Guinea, and help young people understand their role as active agents of social change. Even better than a pie, this donation would be tax deductible! Invite your friends as well! The more pies the better!